George E. Tragos is the managing partner of the Law Offices of Tragos & Sartes, P.L. He received his B.A. and J.D. from Florida State University. 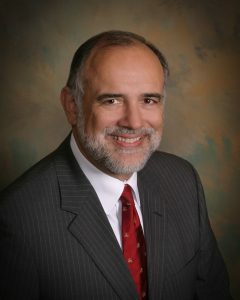 Mr. Tragos holds an “AV” rating by Martindale-Hubble and is listed in Florida SuperLawyers, Florida’s Top Lawyers, and The Best Lawyers in America in both white collar and non-white collar criminal defense categories; he has also been selected by The National Trial Lawyers, as a Top 100 Trial Lawyer. Mr. Tragos regularly teaches the Ethics of Criminal Lawyer at Stetson University College of Law. He is listed in Who’s Who in the World, in America and in American Law. Circuit Judicial Nominating Commission. He is a regular lecturer for the Florida Bar and the American Bar Association in the area of Criminal Defense.